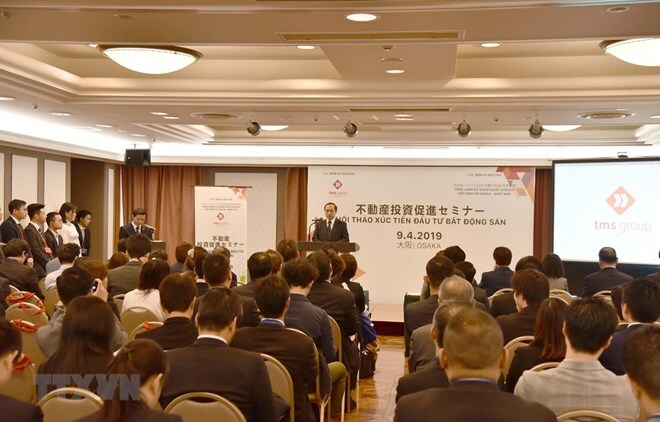 (VNA) – The real estate market in Vietnam is the most attractive in Southeast Asia, according to Director of Japan’s Global Link Cooperative Yoshinori Nakata. The Vietnamese Government and enterprises have been focusing on attracting more overseas firms to invest in Vietnam beyond the field of real estate, she added. According to the latest survey of JETRO, Japan’s direct investment in Vietnam has increased in terms of the number of businesses and the amount of capital. As many as 70 percent of Japanese businesses plan to expand operations in Vietnam, while 88 percent expect their revenues in the market will increase in the future.